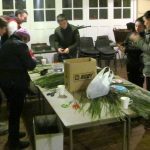 The Parish Social Committee traditionally arrange a ‘Rush Party’ the week before St Brigid’s Day on 1st February to make St Brigid’s Crosses for the Parish but this year we broke with tradition and held a ‘Training Afternoon’ on Sunday 27th January to allow those who didn’t know how to make the crosses to be shown by those who did have the know-how. 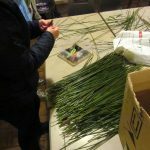 It was a very busy afternoon when a total of 39 Crosses were made in addition to those made by the ‘learners’! 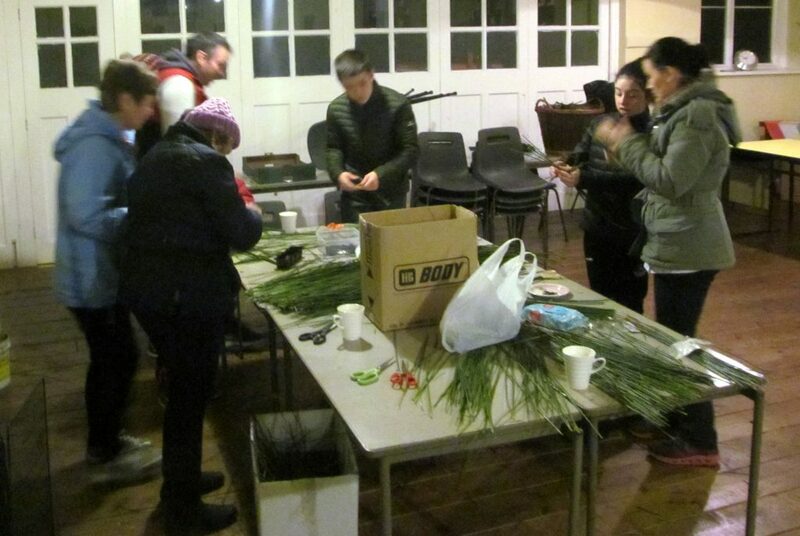 The ‘Training Afternoon’ was followed on Wednesday 30th January by our traditional Rush Party when some of those who attended on Sunday joined to make a batch of crosses. 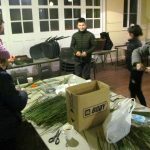 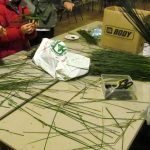 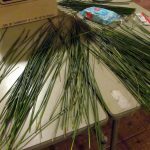 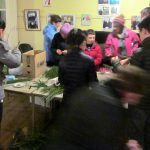 The evening flew in with plenty of busy fingers making good use of the rushes, elastic bands and scissors to make another batch of crosses. 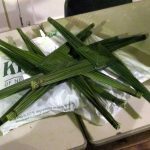 During the evening the Social Committee provided a very welcome supper before more crosses were made. 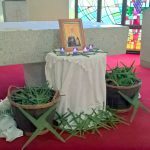 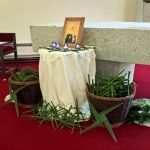 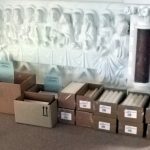 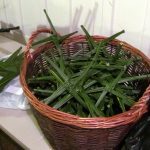 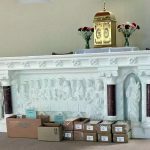 The St Brigid’s Crosses were blessed by Fr Alexander at the Friday evening Mass on the Feast Day in St Mary Star of the Sea and then were distributed to those who were there as well as a basket full being brought to St Joseph’s for distribution after the Saturday morning Mass. 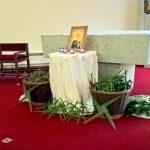 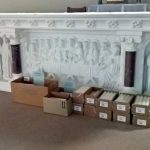 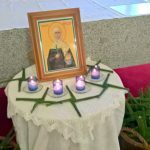 Also at this Mass, which was the Feast of Candlemas, Fr Alexander blessed candles for use at Mass in the Parish as well as candles for home use.